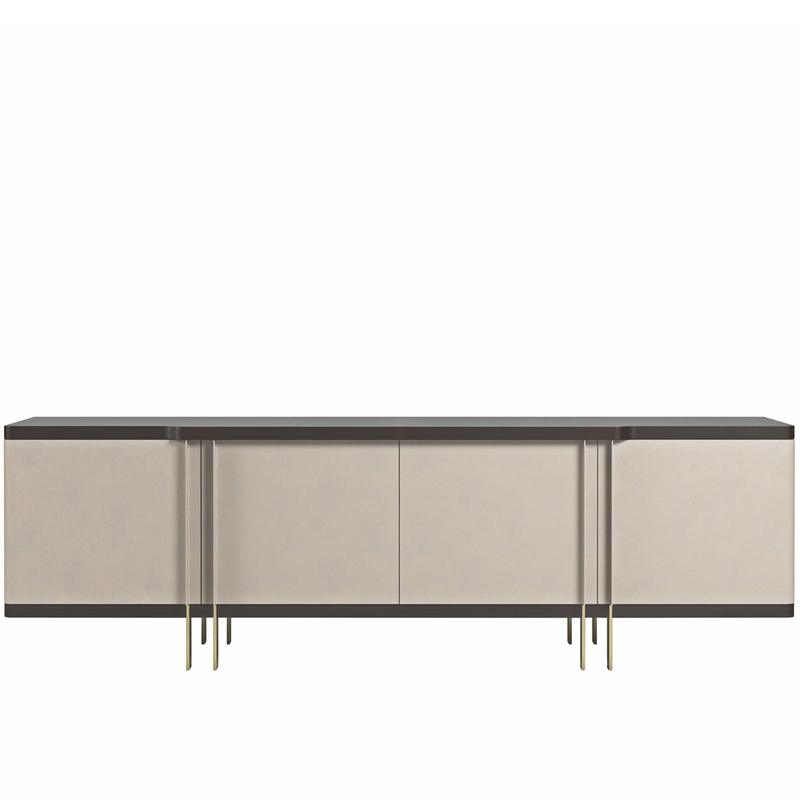 Doral Sideboard by Philipp Selva, design by Leonardo Dainelli. 4 doors with 2 internal adjustable wooden shelves. Body veneered in American Walnut, external covering in leather. The decorative fittings are available in antique bronze finish or in black chrome finish.